Girls wearing leotards and tights are in the midst of barre exercises, warming up their muscles in the studio of Dancing in the Streets Arizona. 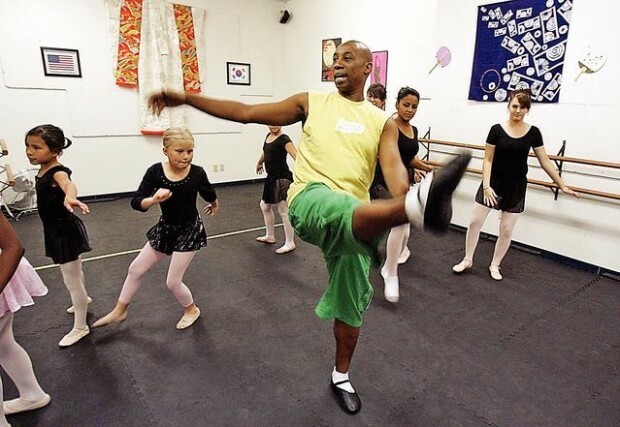 Joseph Rodgers and his wife, Soleste Lupu, watch the girls stretch their calves and work the muscles on their inner legs, coaching them on how to perfect their moves so their bodies get a full workout. The girls repeatedly bend their knees, point their toes and flex their feet, alternating legs. “Lift that leg up, Lizzy,” Rodgers yells to the 9-year-old, a student at Cavett Elementary School.